This truly revolutionary product will change the way America cleans. Despite being completely free of the petroleum solvents and standard detergents (such as nonylphenols) found in other cleaners, completely biodegradable Rubygem GT is such an effective cleaner you won’t believe it’s a “green” product. Watch it effortlessly remove all kinds of dirt, grease and grime from a multitude of surfaces…even glass! Special surfactants rinse incredibly easily, leaving no residue behind. Can be used full strength or diluted. Best of all, Rubygem GT deodorizes with our incredible and truly unique Zephyr™ fragrance. Leaves a very pleasant and refreshing Green Tea fragrance that lasts. Rubygem GT even looks different…packaged in our exclusive, crystal-clear bottles for an eye-catching look. Rubygem GT is the first cleaning product for the 22nd century, but now you won’t have to wait another 95 years to get it! 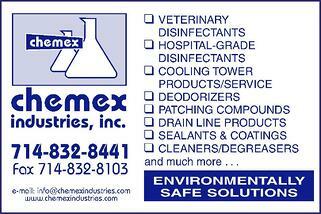 Carpet & Upholstery Spray: Use at a dilution of 2-8 ounces per quart of water for general use.